Nashville, TN -- Banjo Master Mike Scott is seen by millions of TV viewers each week during prime-time on RFD-TV, (60 million households), performing with Ronnie Reno & The Reno Tradition on Reno's Old Time Music Show. Country, Gospel and Bluegrass fans also enjoyed Scott’s stellar banjo playing for many years as a member of the Virginia Boys who backed Bluegrass legends Jim & Jesse during the 80’s. Nashville, TN -- Rural Rhythm Records recording artist Mike Scott will be hosting the WSM Midnite Jamboree on Saturday, February 15, 2014 at the Ernest Tubb Record Shop on Music Valley Drive in Nashville. The show is live at the Texas Troubadour Theatre and broadcast on WSM radio and WSMOnline.com. Scott and the Nashville Band which includes; Carl Jackson, Scott Napier, Heath VanWinkle , Kim Gardner and Steve Day will be performing along with special guests Carl Jackson, Larry Cordle & Val Story, as well as, Joe Mullins & The Radio Ramblers. Valerie Smith to remain in studio for a 2014 CD release. The project has 6 tracks recorded and producer, Mike Scott, is awaiting to finish Valerie's vocals and to include surprise artists and instrumentalists to join in on this project. The CD may be a 10 song release by the time we are finished. Nashville, TN -- Rural Rhythm bluegrass recording artist Mike Scott has added several performance dates in Japan to his already busy schedule in 2013. Recently, Scott and his band performed for a Civil War Antiques and Relics event in Pigeon Forge, TN in August in support of his new CD album Home Sweet Home (Civil War Era Songs) released on May 21st of this year. Plans are in the works for many more performances at key historic Civil War sites over the next two years, throughout the remainder of the 150th year anniversary of the American Civil War. Mike Scott & Friends Release "Home Sweet Home"
Nashville, TN -- Home Sweet Home by Mike Scott is Now available on iTunes, Amazon and other fine digital and CD retailers. The album is also available now to radio programmers and DJ’s via. AirPlayDirect. Rural Rhythm Records is saluting the 150 th Anniversary of the Civil War (1861-1865) with an instrumental album titled Home Sweet Home, which contains 14 songs that were popular during the Civil War Era. Read more about Mike Scott & Friends Release "Home Sweet Home"
Nashville, TN -- Rural Rhythm Records congratulates Mike Scott who celebrates 40 years in music which impressively includes over 450 performances at the Grand Ole Opry. He first took the stage with his banjo at the age of 10 and now leads the Mike Scott & The Nashville Band. In addition, he still performs with Ronnie Reno & The Reno Tradition and can be seen regularly on “Reno’s Old Time Music Fest” TV Show airing on RFD TV and Blue Highways TV. Acclaimed entertainer, musician and songwriter, Mike Scott is proud to announce his third tour of Israel. 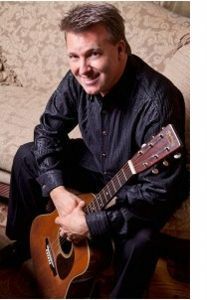 Mike Scott & The Nashville Band will set out for an eight day tour May 2-8, 2012 that includes a headlining performance at the Jacob's Ladder 36th Annual Spring Festival at the Nof Ginnosar Hotel in Magda, Israel on May 3-5, 2012. The festival is located on the shores of The Sea of Galilee" and is Israel's "Largest Family Festival" showcasing talent from around the world. Mike and his band will be the only performers from the United States and are honored to represent our country at this festival. 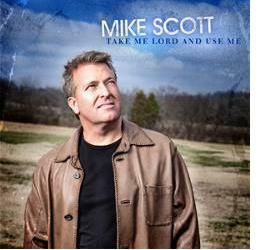 Rural Rhythm Christian Records has submitted Mike Scott's project Take Me Lord and Use Me for two Dove Award nominations. One submission is for the project and the second is for Gospel Song, “Take Me Lord and Use Me.” For over 50 years, Rural Rhythm has produced and distributed hundreds of classic performances by many of the legends of bluegrass and old-time country music such as Mac Wiseman, Don Reno, Red Smiley, The Kentucky Colonels, Clarence White, Doug Dillard, Hylo Brown, Vassar Clements, Bill Harrell, Raymond Fairchild, Jim Eanes, Curly Fox, J.E. Mainer, Tater Tate, and now, Mike Scott. /CMA/ Nashville, TN -- By Robert K. OermannkSept. 13, 2011 marks the 100th anniversary of the birth of the father of bluegrass music and one of his longtime friends has honored him with a musical tribute. Banjo player and producer Mike Scott often played, dined and shared stories with CMA's Country Music Hall of Fame member Bill Monroe. Scott was never a member of the master's famed Blue Grass Boys band, but he was closer to him than many musicians who were.